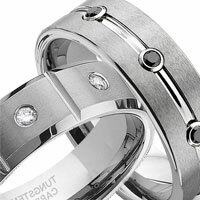 Are you looking for a classic bold look for a men's wedding band? This ring is the answer. 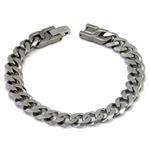 Made of the strongest metal tungsten, with gunmetal color, makes a statement of the strength of the wedding bond. 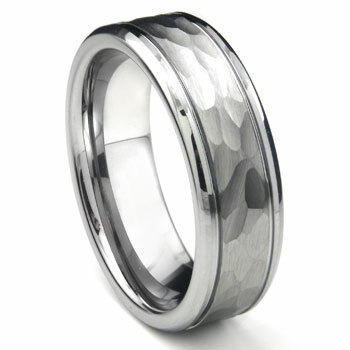 With a beveled appearance, grooves next to the hammered finish, the design is quite unique in the world of men's wedding bands. 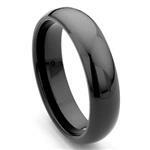 This wedding ring is strong and dependable just like the man wearing one. The hammer finish on this ring features random styling facets. For people who find geometric designs boring, this rustic look tungsten ring will definitely fit your personal taste of fashion. It resembles ancient armors fashioned by artisans using only hammers and hands. Ring is of great quality and what I expected. Even after being sized at my local jeweler, I had a tough time getting a ring that would fit. Ordered a Titanium wedding band and it was too our doorstep within a week. We had to exchange size and that process was also very easy. Excellent customer service and the product is beautiful! Highly recommend this company! This ring is one of my favorite ring. It is very comfortable, and seriously beautiful made. I'm so happy and satisfied owner of this ring, and i recommend it highly. Price is really good too. Thank you for a fast delivery T Kay! 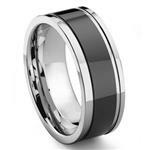 I love my Tungsten Carbide Wedding Band!!! I love this ring. 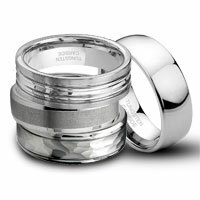 After doing a lot of reading I decided on a tungsten carbide wedding band due to the toughness of tungsten. I am hard on rings and I hate when softer rings get all scratched up. 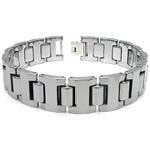 I am sure I won't have that problem with my tungsten carbide band. I love the hammered finish; it really gives the ring some extra sparkle. The ring is very comfortable to wear. I was concerned about the width of the ring after reading some of the other reviews; NOT to worry it is a very nice width and I'm happy with the width. I will say tungsten carbide is very dense / heavier than almost all other metals that I know of. 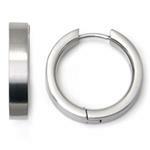 The thickness of the ring is also on the thicker side of any other rings I have worn. All in all I love the ring and I may order a second in a half size bigger incase my finger gets thicker, etc. I am sure I read somewhere that tungsten rings cannot be resized, so I may get a second in 1/2 size up to put up for future needs. 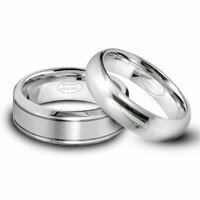 I also love the price of the ring; compared to the prices of rings in stores this ring is very nicely price. 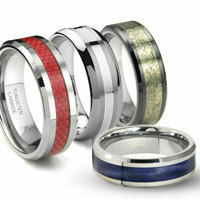 I love my tungsten carbide wedding band and I am so glad I found Titanium Kay's website. Thank you. 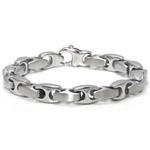 I purchased this for my fiance who lifts weights 6 days a week. 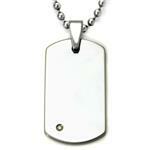 I needed something that looked great but would hold up to the abuse that his activities would render to the ring. The ring is absolutely gorgeous and perfect for someone who is active. 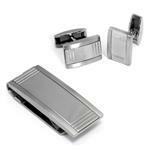 The ring style, being comfort fit is a great fit on his finger and the style is superb. This is the first time I have ever "reviewed" any product but felt so strongly about the product that I wanted to relieve anyone of reservations they may have. I ordered the ring on a Friday and had it in my mailbox on Monday. 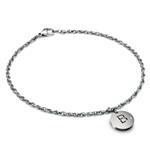 Fabulous service, Fabulous product!! !